I stressed over this year’s list, mostly because there were so many strong contenders. There wasn’t one loud-and-clear winner, like last year’s “Fargo,” so much as a long list of really well-done dramas and comedies, many of which are Top 5-worthy. In what is a coincidence, most of my selections are from FX (basic cable), HBO (pay cable), and Netflix (streaming). As the broadcast networks continue to flail around looking for hits, they’re responsible for only one show here (on the Almost List): the emotionally honest “American Crime,” which aired on ABC. “This Is Us,” NBC’s clever family drama, almost made it, but the manipulated tears got in the way. As always, let me know what I got right, what I got wrong, and what I missed. The first two seasons were good, not great. But the story of Russian spies in 1980s America has only gotten better, and this year — the fourth season — no series gave me as much pleasure. There were plenty of action sequences, but “The Americans” was always more engaging and grounded in the family dynamics of those fighting on both sides of the Cold War. The cast continued to go from strength to strength, led by Matthew Rhys and Keri Russell with strong support from Frank Langella, Holly Taylor, Kelly Aucoin, Alison Wright, and Noah Emmerich. In recent years, “The Americans” has become accidentally timely, with U.S. suspicion toward Putin’s Russia over incursions into Ukraine, Edward Snowden’s asylum, and, more recently, election manipulation. But “The Americans” writers remained focused on the fine points of character drama, with highlights including the rude awakening of daughter Paige, the excruciating betrayal of Young-Hee, and pawn Martha bravely meeting her fate in a foreign land. I’d written off the procedural format as creatively DOA. By the time the phrase “Law & Order” makes it into political rhetoric, the day is past. But then along came “The Night Of,” written with a wise and socially critical eye by Richard Price and Steven Zaillian. The miniseries expanded and humanized the prototypical New York crime story, taking us inside the families of both the accused — Riz Ahmed’s Naz — and his down-and-out lawyer, John Turturro’s John Stone. At the same time, the show stepped back from the details, David Simon-like, to expose the deep flaws in American justice and the systemic bias against brown people. The acting was aces all around, particularly Ahmed, Turturro (in the role originally meant for James Gandolfini), and Jeannie Berlin as the steely D.A. “Kevin Can Wait,” “Man With a Plan,” “2 Broke Girls,” and “The Odd Couple” are a four-fer of some of the worst scripted material on TV right now. Part of me feels as though I should be cynical about lush costume dramas with British accents. But hell, “The Crown” did it just right. It was a fascinating look into the backstage lives of decades of royal figures, with Queen Elizabeth as the through line, and how they carry the weight of scrutiny and worship. It’s about the idea of the crown — what it means to the public and to those who wear it — as much as it’s about the Windsors. Peter Morgan, who gave what is, compared to “The Crown,” a snapshot with “The Queen,” wrote this decade-by-decade look at how Elizabeth becomes the inscrutable figure we now know. Claire Foy gives Elizabeth’s sensible demeanor lots of facets, John Lithgow is masterful as Winston Churchill, and Jared Harris is poignant as the stuttering King George. The six episodes of season three of this “Twilight Zone”-like anthology series are uneven, for sure, but they all share an invigorating, and sometimes bracing, forecast of where we’re heading. They aren’t about “the future,” that vague and eerie concept generally portrayed in dystopian stories; they’re about the day after tomorrow, when smartphone apps, drones, and video games have gotten out of control, when Donald Trump will be a president who executive produces a reality show. My favorite of the batch imagines a world where our egos are frighteningly bound up with our social media, where our access to the better things in life is determined by our online evaluations. Called “Nosedive,” and written by Mike Schur and Rashida Jones, the episode pushes Facebook “likes” and Uber ratings to their extreme. This season felt different than those before it, as the story line careened forward, ahead of the book series. The cast began to shrink, the players for the endgame became clearer, and the story encompassed both epic battle moves and, with lovely and much-needed warmth, redeemingly intimate moments. The performances were all good, but I found Sophie Turner’s Sansa affecting as she grew into her new empowered role as co-leader. Her series-long arc has been heroic. And as Cersei, a coil of vengeance and hurt, Lena Headey was unforgettable. This is a painful, wry six-episode look at how grief manifests in some people. It doesn’t match up with the more familiar patterns of tears and sleepless nights. Fleabag is our broken heroine, breaking the fourth wall to slyly inform us of the ironies and insincerities of all her romantic and sexual trysts. She’s a sad clown, with a raunchy sense of humor. Played by Phoebe Waller-Bridge, who also wrote the show (and the play it was based on), she’s a brave, lonely soul who’s trying not to fall apart by doing all the wrong things. As her stepmother, Olivia Colman is a passive-aggressive masterpiece. 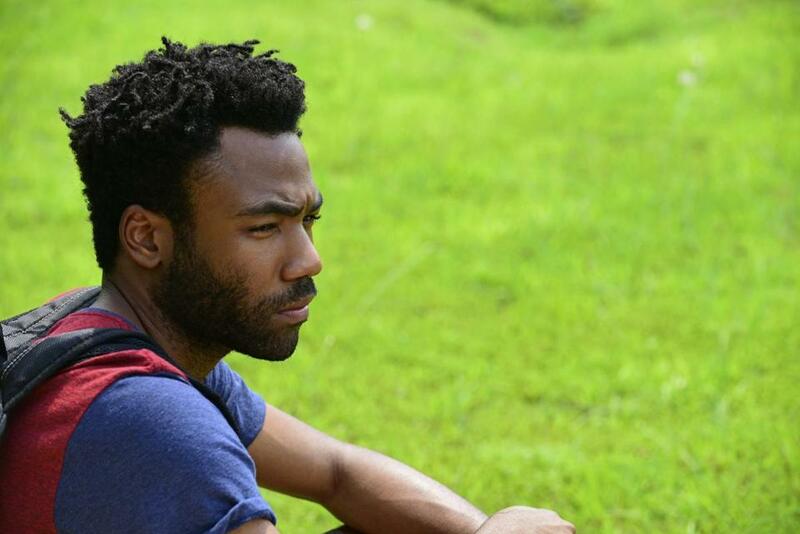 With this series, created by its star, Donald Glover, TV storytelling moved a step further away from using conventional narrative signposts and a step closer to portraying the random but related experiences of everyday life and its funny-sad and surreal moments. Glover plays Earn, a guy trying to pull himself together as the manager of an upcoming rapper in the Atlanta music scene, his cousin Paper Boi. Glover is surrounded by naturalistic performances, including Brian Tyree Henry as Alfred (Paper Boi), Lakeith Stanfield as Darius, and Zazie Beetz as Earn’s baby mama. More from TV: Is ‘2 Broke Girls’ the worst sitcom on TV? This cerebral sci-fi drama was as much a brain-teasing puzzle as a TV show — kind of like “Lost,” but a lot chillier. In the process of figuring it all out — Who were the robots? Would they develop self-awareness? How robotic are humans? How many timelines are there? — you were pushed by the writers to ponder all kinds of questions about artificial intelligence and the people who use and misuse it. You were also pushed to think about the nature of free will, which meant viewers were invited to undergo existential crises at will. Good times! Strong, precise performances from Evan Rachel Wood, Jeffrey Wright, Thandie Newton, and Jimmi Simpson were added pluses. Through the strange turns of the election, through all the personal and petty negativity, Samantha Bee was our tour guide and absurdist commentator. She voiced the sanest, angriest weekly takes on the American political conversation, sexism, and the declining importance of facts. While “Last Week Tonight With John Oliver” is a weekly must-see, it generally takes a step back from the daily news cycle. “Full Frontal” dove into the details to provide catharsis, bite, and sanity at a time when we needed them most. I loved the first season of this formally inventive show. An adaptation of a Web series, it follows a pot dealer around New York City. But it doesn’t traffic in madcap weed adventures like, say, “Broad City” or “Workaholics,” opting instead to explore the various lives of the people buying. Ultimately, it’s a group portrait of many different corners of New York City. Each episode is linked as the pot dealer (played by co-creator Ben Sinclair, known only as “the guy”) makes his deliveries, but each vignette stands on its own, too. My favorite episode, called “The Great Gatsby,” tells the heart-wrenching story of an urban dog with an unhappy owner. 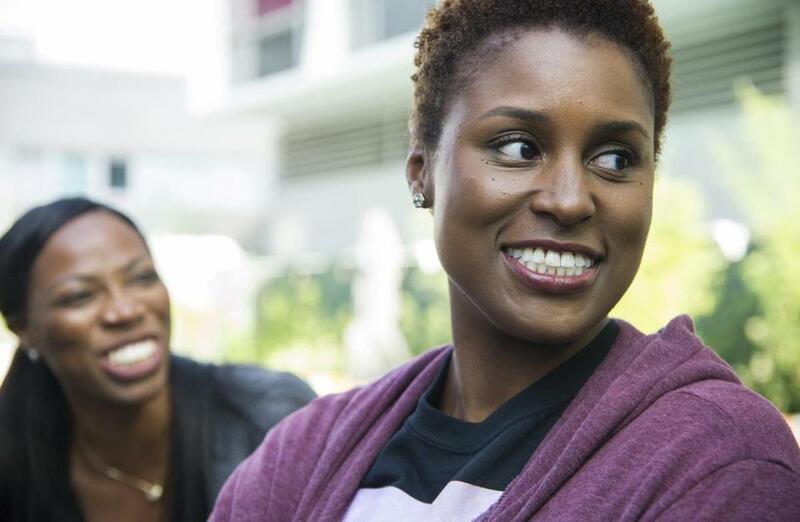 *Issa Rae’s textured “Insecure” (HBO), featuring one of TV’s best female buddy relationships. *The absurd, and increasingly realistic, “Veep” (HBO), with Julia Louis-Dreyfus’s perfect comic timing. *Pamela Adlon’s ode to mothering, “Better Things” (FX). *Maria Bamford’s “Lady Dynamite” (Netflix), where depression met giddy surrealism. *“The Girlfriend Experience” (Starz), where prostitution collided with a legal career. *The timely teen crisis on “American Crime” (ABC). *The romantic back-and-forths of “Love” (Netflix). *The passionate reporting of “Last Week Tonight With John Oliver” (HBO). *The uncanny revisionist re-creation “The People v. O.J. Simpson: American Crime Story” (FX). *“Better Call Saul” (AMC), no longer just the “Breaking Bad” spinoff. *Louis C.K.’s “Horace and Pete” (www.LouisCK.net) and its fine theatrical acting. *The continuing horrors of “Happy Valley” (Netflix). *“Difficult People” (Hulu) and its nasty wit.